Tenzin Lhundrup, an influential Tibetan monk who used to teach local Tibetans Buddhism and advocate for the preservation of Tibetan identity was arrested during one of his lectures in May 2014 by Chinese authorities because of his involvement in protests against mining at sacred mountains. This arrest was followed by severe restrictions on local Tibetans in the areas of freedom of speech, movement and religion. A senior Tibetan monk has been arrested and his followers and family have no clue of his whereabouts, said the Tibetan Centre for Human Rights and Democracy based here. Tenzin Lhundrup, an accomplished Buddhist scholar who is known in the region for his social services and contribution to the local Tibetan communities, was arrested in May during a lecture on the “status of Tibetan language and nationality” (Tib. mi rigs dang skad yig ki gnas bab skor) to villagers of Shagchu (Ch: Xiaqu) Town[i] in the restive Driru (Ch: Biru) County in Kham. Citing its sources, the TCHRD said the Chinese police arrested the senior Buddhist scholar Tenzin Lhundrup on a Wednesday, the Dalai Lama’s ‘soul day’, observed around the world by Tibetans as 'Lhakar' from Gom Gonsar Monastery at Lenchu Township in Driru County. The source is not sure which Wednesday in May  it was when the arrest took place but remembers it was on a Wednesday. "Tenzin Lhundrup used to give Buddhist teachings to the local Tibetans, help arbitrate disputes, and advocate vegetarianism. He is known also for zealously advocating the need to preserve Tibetan identity. All of these initiatives had earned him much respect and admiration from the local Tibetans," Tsering Tsomo, the director of TCHRD said. Chinese authorities were keeping a close eye on Tenzin Lhundrup's activities since he spearheaded the local opposition to Chinese mining activities at the sacred Naglha Dzamba Mountain in the area last year. “He regularly gave speeches to the local Tibetans to protect the sacred mountain from Chinese miners, and once he publicly offered scarves to the members of a local committee set up to protect the mountain as mark of respect and appreciation for their resistance against mining,” TCHRD quoted its source as saying. Local Tibetans who demanded the reasons for his arrest were told by the Chinese police that Lhundrup had been involved in many disturbances, including his participation in the protest against mining at Naglha Dzambha Mountain. The source told TCHRD that the security officers had surrounded the monastery and barged into the homes of monks looking for items deemed as ‘promoting separatism’. Another source told TCHRD that the arrest and eventual disappearance of the senior Buddhist scholar has triggered a massive crackdown in the area with the Driru County government issuing an official notification in June 2014. The notification, TCRHRD said, puts severe restrictions on local Tibetans in the area including restrictions on freedom of movement, speech, and religion - religious professionals had been warned against “spreading rumours” and participating in Monlam Chenmo Prayer Festivals and so on. 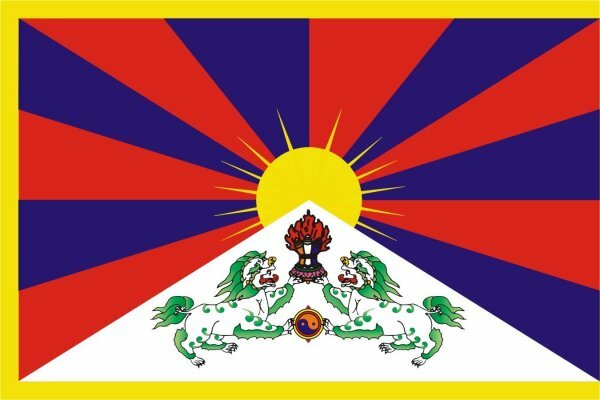 The regulations further warned that local Tibetans would be prohibited from harvesting the prized caterpillar fungus (Tib: Yartsa Gunbu) and their welfare rights cancelled if they were caught singing songs in praise of Tibetan independence, expressing dissent to the Chinese government policies, “leaking state secrets to the outside world”, or listening to news broadcast from exile Tibetan media. “The Chinese authorities have cut all communication lines and forced Tibetan students of Driru studying in other regions of Tibet to return home. The situation has become very tense and dangerous,” said the source. Tenzin Lhundrup, a native of Geney Village in Shagchu Township, is an accomplished Buddhist scholar, and had extensively studied Tibetan Buddhist philosophy, literature and culture.